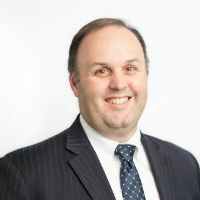 For more than a decade, Brian M. Gummow has counselled clients in the biotechnology and pharmaceutical industries on IP issues, including patent portfolio development, patent prosecution, freedom-to-operate opinions, invalidity opinions, patentability opinions, patent interferences, US and foreign post-grant challenges, and patent infringement litigations. He has coordinated the worldwide prosecution of applications directed to antibodies in clinical development, commercial antibody formulations, methods of purifying antibodies and commercial methods of treatment for several clients. Gummow also helps clients coordinate the defence of antibody formulation patents, antibody purification patents, and method of treatment patents from third-party challenges worldwide.